On May 13, Complex magazine published a list of the top 50 hip-hop samples from certified DJs and crate-diggers Kon & Amir. If you’ve ever been casually interested in breaks, or been curious about that culture, then this is a great primer. Some of the records are rare, and others are well known — James Brown’s The Big Payback makes an expected appearance. The only albums I have from the list are The Big Payback (a scratched up copy without its cover) and Isaac Hayes’ Hot Buttered Soul. It’s interesting how many old-school producers re-used the same loops over and over again. Nostalgic b-boys like to blather about how everyone in the so-called “golden age of hip-hop” was a certified original. This list is a testament to how musicians of all era, whether it’s the golden age or the much-maligned present day, work from a few popular themes and sounds. 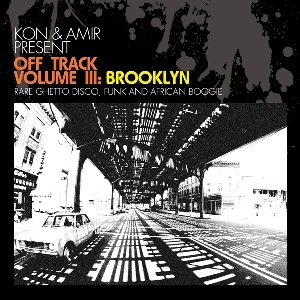 Incidentally, Kon & Amir just assembled a third volume of their influential rarities series, Off Track Vol. 3, for BBE Records. It came out last month. This entry was posted in News and tagged BBE, crate diggers, internet ether, Kon & Amir, linkorama. Bookmark the permalink.